Students in the middle and upper primary have entered the curriculum phase of their education. Developed oral language skills are critical for gaining academic understanding of content and information. Adult-like language enables students to efficiently organise and elaborate upon their thoughts. This ability then provides the springboard into writing. Oral reading becomes less important, given the focus on the comprehension of the material read. During these years a child’s language and literacy skills form the foundations for academic achievement and learning progress. 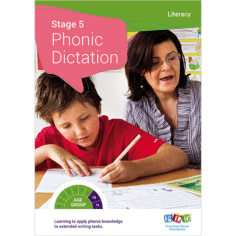 Phonics: Researchers consistently report that synthetic phonics instruction is an important element of teaching reading and spelling. Through (synthetic) phonics instruction students learn to ‘sound-out’ words, rather than recognising whole words. Disciplined coverage of the phonic principles helps explain how many words are formed on the basis of the sounds contained within speech. The blending and segmentation of the sounds within words helps embed the phonic concepts (e.g. sh, ou or au) being instructed and leads to superior reading of regular and irregular words. Phonological Awareness: Phonological Awareness is the ability to think about the sounds within words (as opposed to focusing upon the meaning of words). Research explains that phonological awareness is strong predictor of early literacy acquisition. Phonological awareness is reported to unlock the mystery of word recognition and spelling. 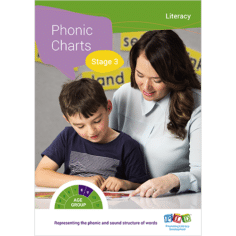 Once children understand that words are comprised of sounds, the mapping of the alphabet and phonics occurs with greater ease. Syllabification, rhyme, initial sounds, onset and time blending and segmenting are all phonological awareness tasks. 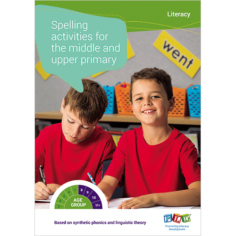 Reading & Spelling: Explained simply, reading is being able to recognise (or ‘sound-out’) written words. Spelling however is the reverse. Spelling involves forming and ordering letters in order to represent the written form of words. Typically, students read more words accurately than they are able to spell. In schools it is common to find students whose reading performance is age appropriate but whose spelling performance is below average. Finding students with the opposite pattern is much rarer. For most, spelling is more challenging than reading. Writing: Explained simply, writing is the process of arranging symbols (i.e. letters, punctuation and spacing) to communicate thoughts. Writing involves fine and gross motor skills (e.g. sitting on a chair, controlling a writing implement and letter formation) with oral language skills (e.g. 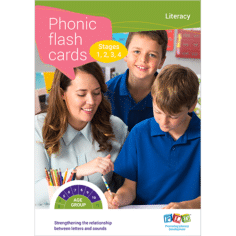 formulating ideas into grammatically correct sentences and the ability to focus on one word on a time) while applying literacy skills (alphabet and phonic knowledge, and sounding-out/phonological awareness ability). 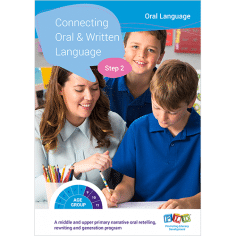 When viewing a student’s written work, it is common to clearly identify if oral language skills, motor skill or literacy skills require further attention. 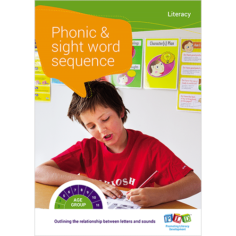 Sight Words: Sight Words are a special category of high frequency words which students are taught to recognise automatically. Research suggests that the instant recognition of commonly occurring words gives early readers a boost. The first 25 sight word comprise a third of published works. The first 100 comprise approximately 50% of published works. The first 300 comprise 65% of published works. Although sight words are high frequency words, many are irregular words. Students will often find it is more difficult to accurately spell the sight words within their written work, than the instant recognition. 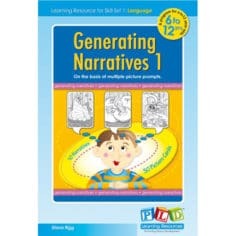 This resource provides additional picture sequences to assist the process of generating oral and written narratives. The picture sequences explicitly illustrate the structure of narratives.